PS - Still waiting for reply at New Format for The frame doesn't fit pass-around game. If we don’t get movement on this, we should migrate to that thread anyway. This one is so long it’s malfunctioning and won’t take me to the newest post. 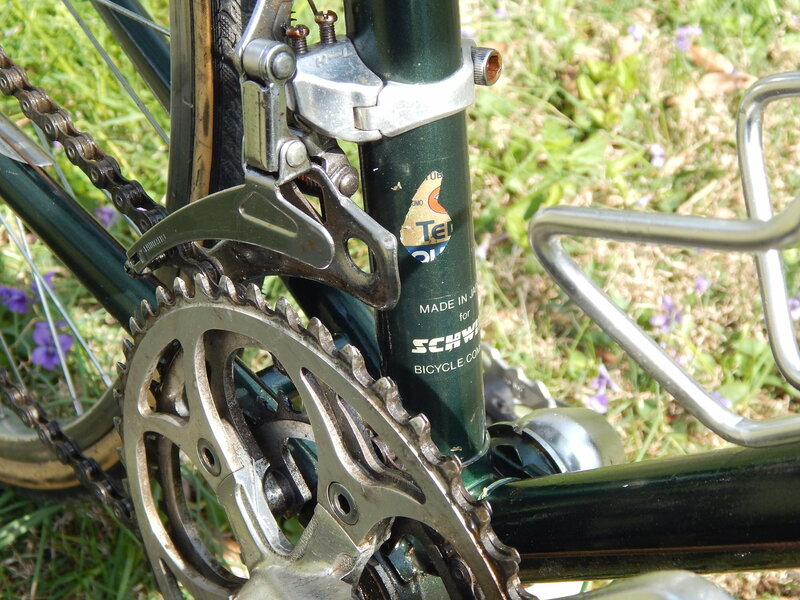 A quick check of the serial number on vintage-trek.com will give you year, model and size. Nice looking frame, all things considered. Its a 1982. I was going by color but the serial number confirms it. Both of these options require a site admin and without one of these happening it is a futile battle. People will continue posting their trades on the thread and as they do, any posts with a link to the spread sheet will get buried further and further down in the thread until eventually they are so deep that nobody even sees them. I suspect that is what has happened with any previous attempts to maintain online spreadsheets for parts, sales etc. Without proper implementation, it won't work. Last edited by tarsi; 03-15-19 at 07:53 PM. You obviously want to be a moderator. Find out what it takes to get the magic wand. The spread sheet is a most excellent tool, but is not a replacement for posts created by the people actually trying to make a trade. You have summarized other peoples "copy" to a few words on the spread sheet and selected one photo. Maintain a separate thread announcing every addition to the spread sheet, including a link to the spread sheet in your tagline. and also include a link to the original posting in whatever trade request thread is current. You obviously want to be a moderator. That is not true. I am interested in implementing the online spreadsheet as a more efficient way of facilitating trades, sales etc. I really have no interest in moderating any other threads. In my 30+ years of IT experience I've seen countless attempts to introduce new "improved" solutions that run in parallel to an existing solution. It does not work. Ultimately, users get frustrated and confused by the additional, redundant tool and almost always revert back to the original solution which they are familiar with. Migration to a new system requires engineering and implemention to be successful otherwise, this new spreadsheet will go the way of all previous spreadsheet attempts. With regards to your referenced "limitations", 1) Spreadsheet allows for much more "copy" in the text fields then you are currently seeing. I have copy and pasted what I feel to be the important "Specs" which are relevant to somebody seeking a trade. Not sure that a back story about how owner came to acquire bike etc is appropriate nor necessary to such a spreadsheet. 2) Photos are simply links in the spreadsheet. As easily as a link can point to a single photo, it can also point to an album containing multiple photos. Anyhow, just trying to help the community. The spreadsheet worked out great for me. I ended up trading/selling two bike/frames within a relatively short period of time and am just trying to offer that convenience to other members. As stated, there is only so much I can do without the assistance of a site admin. If it doesn't happen at least I gave it a reasonable shot. Not trying to step on anybody's toes or disrespect. Last edited by tarsi; 03-17-19 at 06:53 PM. I, for one, am grateful to tarsi for devising and implementing this solution. It's way better than what we had before. I'll make some noise in the Forum Suggestion thread and hope someone notices. 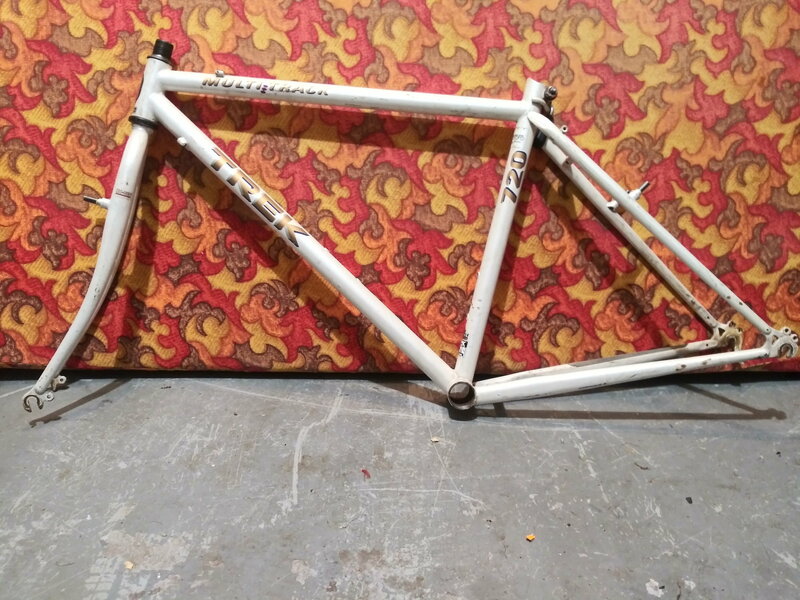 Looking for an older softtail frame. Something with somewhat normal geometry. Fork not necessary. By "softtail" do you mean a full-suspension MTB frame? What size? Yes, though my plan is to have a rigid fork on it and use it as a gravel grinder. I ride a 58 cm or so road bike, so a I'm looking for a larger frame. Not something fancy and modern and curvy, more of a traditional 80s/90s frame geometry, preferably steel but AL if its right otherwise. I've got a Chrome Voyageur 11.8.
they only made these in chrome for 2 years. It has a small notch cut out of the chainstay for clearance of a gear ring, because someone decided that was better than just getting a longer spindle apparently. Other than that it's in good condition. Notch and all I was stoked to clean it up and use it but I mismeasured the frame and it's a 23 not a 24 inch. 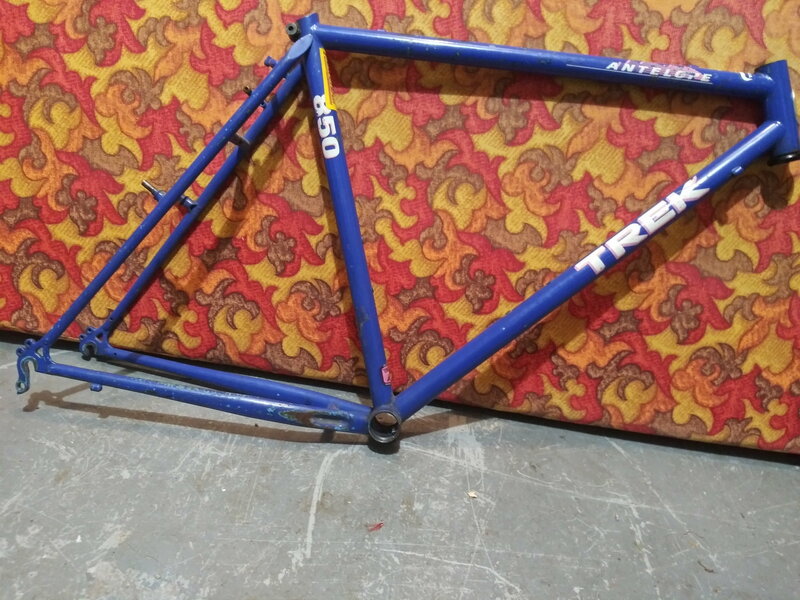 Looking for a 60 or 62cm frame. 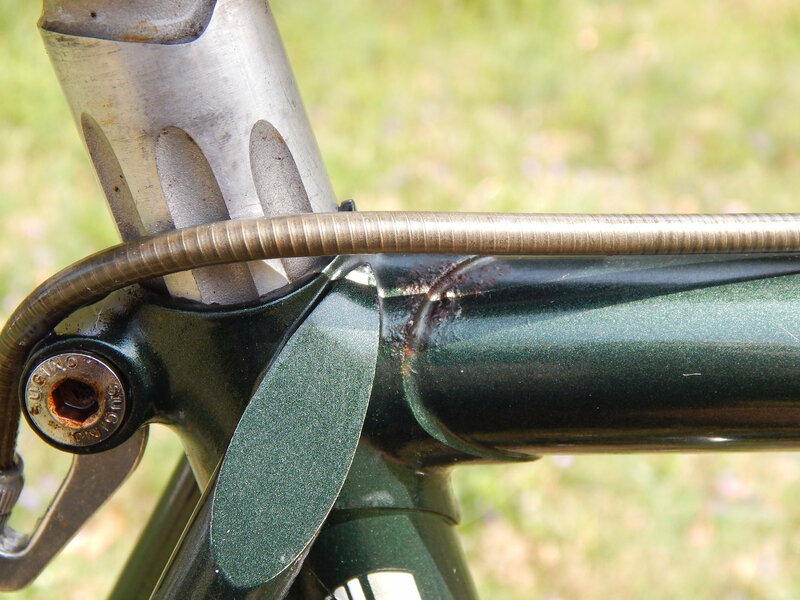 Something scuffed up pretty bad or even "modified" like this on is(derailur removed for fixie etc) would be fine by me if it was of similair quaility. Last edited by Buellster; 03-28-19 at 01:05 PM. 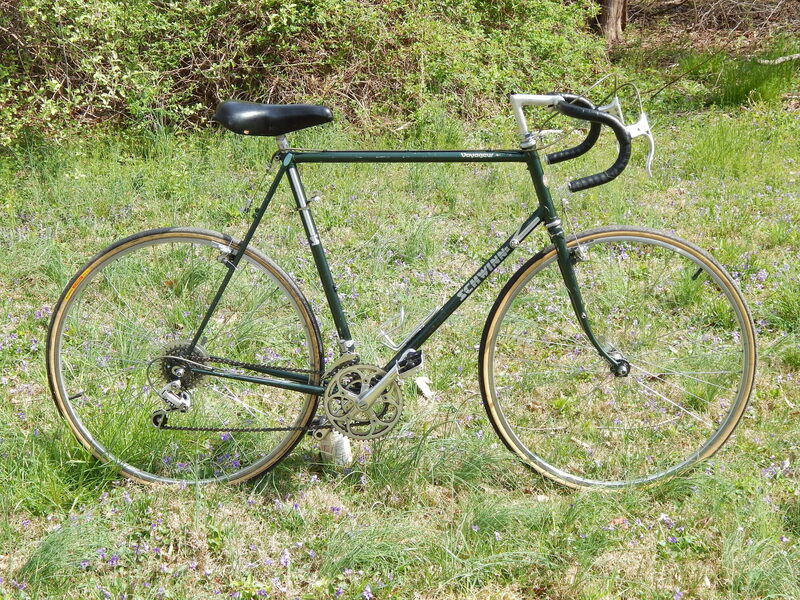 Feeler: I have a 60x58 Tommasini Super Prestige that doesn't fit me very well. Anyone have one that is too small for them, in the 56cm range, that they'd like to trade? I've got these 2 frames that have been sitting for a while and I have no plans to use them. The 720 Mutlitrack is a 17" and the I don't know the Antelopes size but the seat tube is 19.5 ctc. Both frames are dirty with scratched paint but no dents and all threads are good. I'm looking for a Multitrack in 21" or a steel mtb around 18" with a 1 1/8 head tube. I'm also open to any other frame options. Let me know what you have. I'm willing to trade both frames for 1 frame and include some parts also. 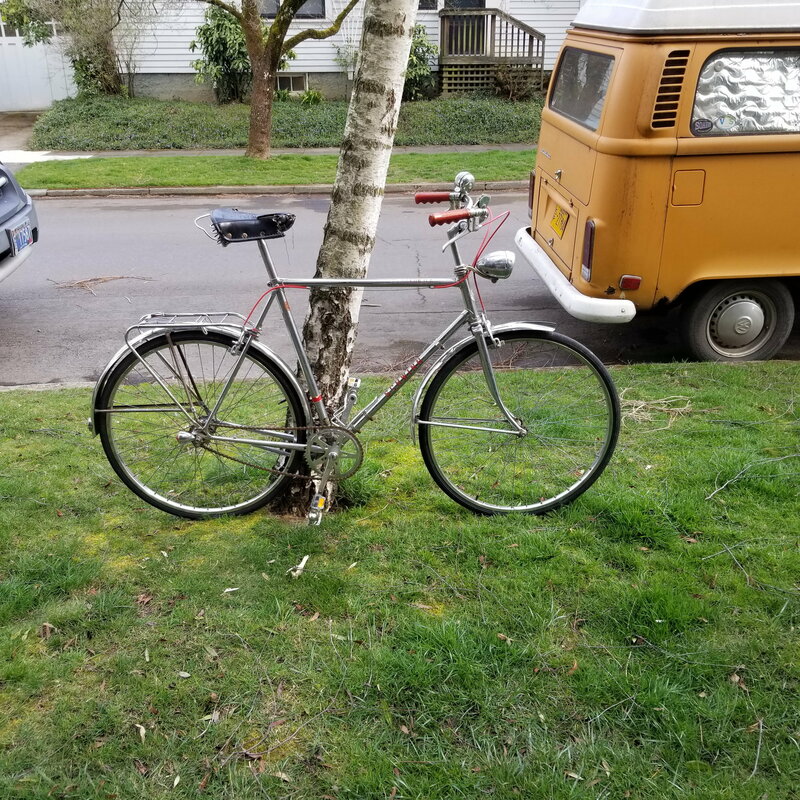 25" 1986 Schwinn Voyageur SP Complete or Frame and Fork. There's some paint chips and a little rust. the picture shows the only real patch I found. Pictures in a couple days. Looking for comparable 56-58 frame to swap parts to, or a good low trail 650b candidate. Last edited by bark_eater; 04-11-19 at 06:43 PM. 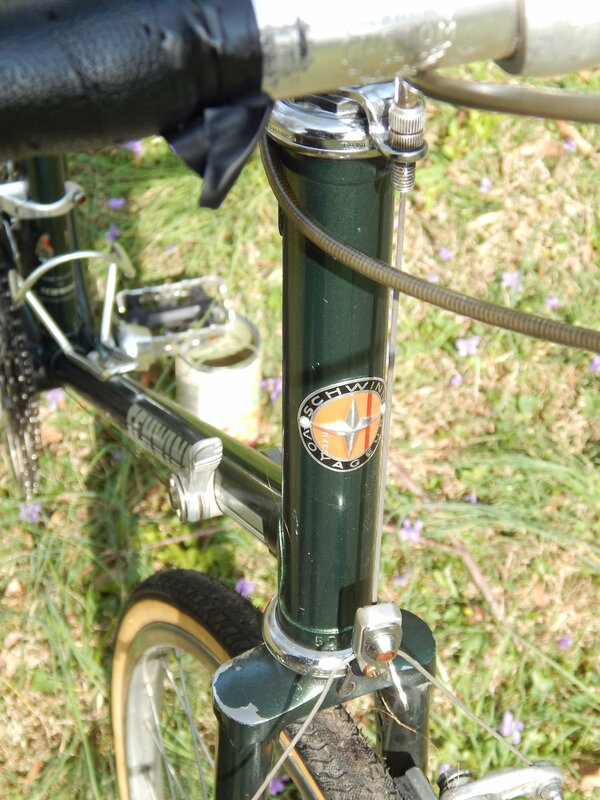 25" 1986 Schwinn Voyager SP Complete or Frame and Fork.